Taoiseach Enda Kenny has stolen a march on would-be rebels who are now perplexed by his insistence that he is in no rush to stand down. Several members of the Fine Gael parliamentary party have demanded an early change of leadership, but have been left unsure of their own next move after Mr Kenny's comments in America. 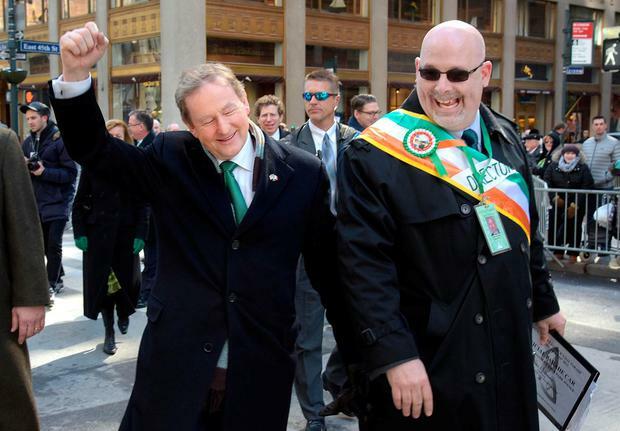 Mr Kenny had previously led his TDs, senators and MEPs to believe he would "conclusively and effectively" deal with the leadership issue on his return from his St Patrick's Day visit to the USA. But as the visit drew to a close at the weekend, the Taoiseach said he wanted to stay until a new power-sharing government was installed in Belfast, and the ground rules of the Brexit negotiations were put in place. The Taoiseach's comments caused alarm among many backbench TDs who want to see the leadership issue dealt with soon, and fear that proceedings in Belfast and Brussels risk dragging on for some time. They want a new Taoiseach in place in case of a general election which could happen as early as next autumn. However, they are reluctant to confront the Taoiseach at the parliamentary party meeting on Wednesday - particularly after Mr Kenny faced them down amid a clamour for his departure one month ago. "From his statements in New York that timescale suggests Mr Kenny is digging in for an even longer farewell than he had led us to believe. Patience will wear thin on that," one backbench TD said. But it is unclear how much open pressure on the leadership issue - if any - he will be subjected to at this meeting. Carlow-Kilkenny TD John-Paul Phelan said many TDs and senators expected Mr Kenny to act according to what he told the parliamentary party a month ago. However, most of the normally outspoken rebels spoke on condition their names were not mentioned on this occasion. Party chairman Martin Heydon said as far as he was concerned "nothing had changed". The Kildare South TD said Mr Kenny had always said he would stand down "before the next election" and would deal with the issue after his return from the US. "I trust the Taoiseach to act in the best interests of the country and the party," Mr Heydon said. But he would not be tied to a specific date and avoided fixing Wednesday's meeting as decisive. Another TD, keen for Mr Kenny to fix a timeline also signalled that the Taoiseach will not come under specific pressure on Wednesday. "But this cannot drag on indefinitely," the Fine Gael deputy said. 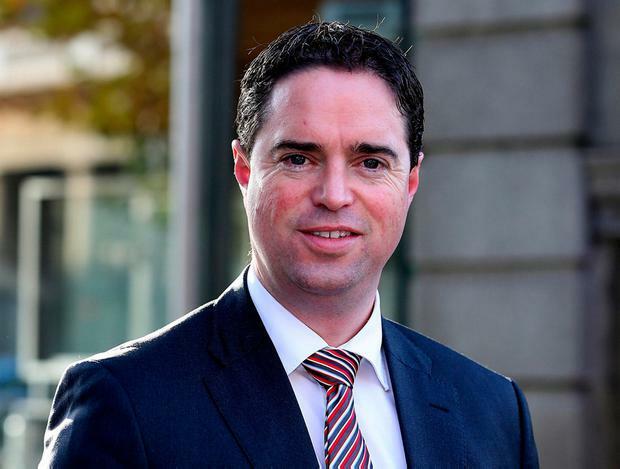 Cormac McQuinn The involvement of consultancy firm PwC in two reviews relating to the controversial National Children's Hospital (NCH) project has been branded a "gross conflict of interest". Philip Ryan A senior Fianna Fáil TD has said he was "mortified" at party colleagues who queued up in the Dáil chamber to meet rock star Bono. Kevin Doyle Having used a historical speech in the Dáil to defend Irish peace, Nancy Pelosi yesterday went to see the benefits of the Good Friday Agreement for herself.